A recent international study of inequality by Michael Norton and Sorapop Kiatpongsan was already mentioned here for its findings about how uninformed the public was about matters of public policy. 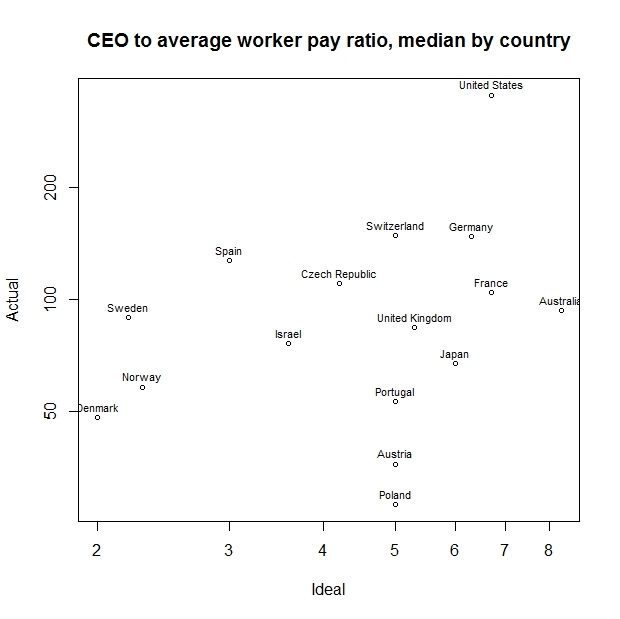 The study collected the opinion of people about what the CEO-to-average-worker pay ratio should be, and their best guess of what it actually was. A summary of the findings are shown in the table at the bottom. 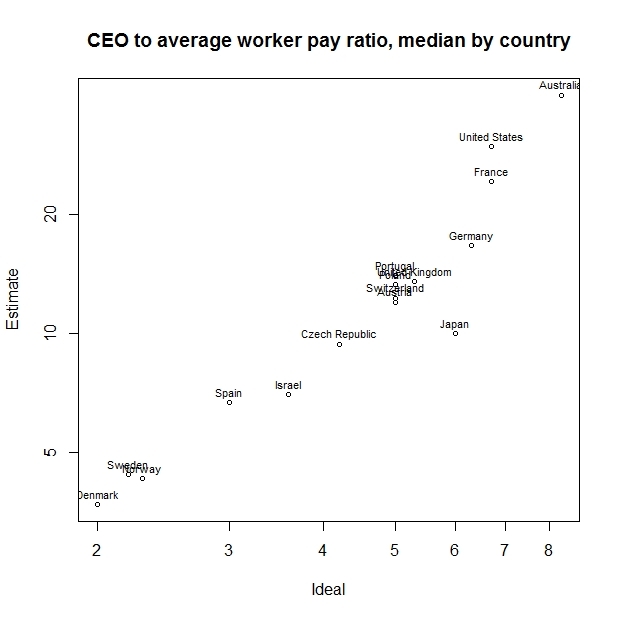 That is, the electoral systems of the 16 countries in the sample produce no responsiveness on the issue of income inequality. 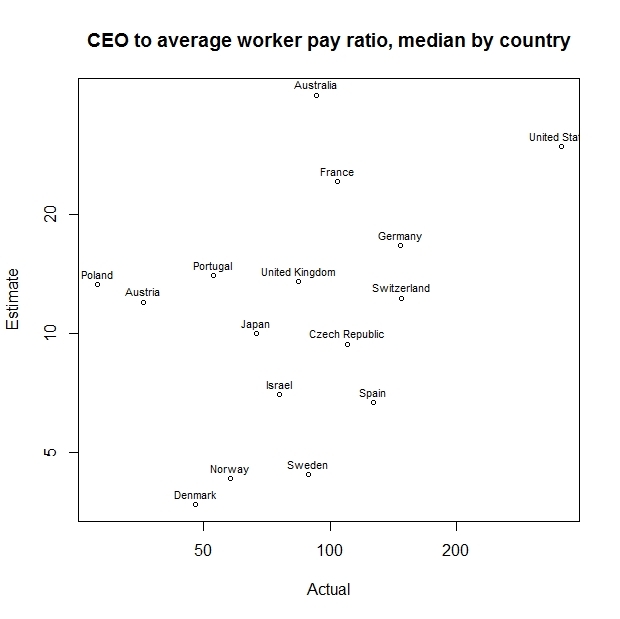 Like the non-responsiveness on the matters of delegate salaries and lobbying regulation, the non-responsiveness regarding income inequality contradicts the standard electoralist dogma which asserts that electoral systems produce policy which follows public opinion. April 22, 2014 – A strong majority of Americans believe economic inequality in the U.S. today is a problem (79%), with over half believing more specifically that it’s a major problem (54%). Overall, the perception of economic inequality being a problem in the United States has changed little from 2012 (80%). Two-thirds (66%) of Americans feel it’s important that the government introduce policies to reduce inequality in the U.S. (up from 62% in 2012), with four in ten (40%, up from 34% in 2012) identifying it as very important. Specifically, about three quarters of Americans want to see the minimum wage raised substantially.